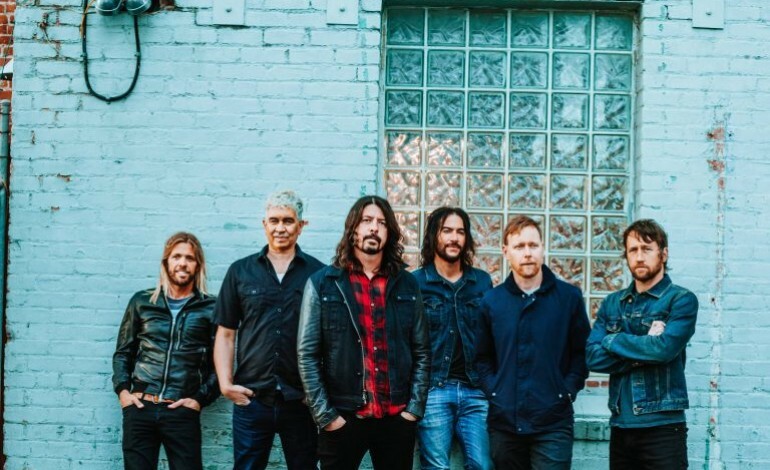 With their aim at the stars, the Foo Fighters were ready to make the “biggest sounding Foo Fighters record ever.” They went big with this one calling in talented artists to give their music a diverse flare. It also made way for a very mysterious reveal of a mystery pop star. He was later revealed as Justin Timberlake. He wanted to work with the Foo Fighters after hanging out with them and jokingly mentioning the idea of collaborating. But frontman Dave Grohl, wanted to give it a try.”Make it Right” is available to stream for all of those fans who were waiting to hear the collaboration between Justin Timberlake and the Foo Fighters. Band members are stoked about Concrete and Gold. They are feeling very confident that they rocked their ninth studio album. Timberlake contributed some backup vocals in “Make it Right.” He’s singing the “la la las” in the track below. After much anticipation, the Foo fighters are still full of surprises. Today also marks the release of their new album. It is the follow-up to their 2014 Sonic Highways. The 11 track collection was recorded with producer Greg Kurstin at EastWest Studios. Their activity in the music sphere started when they told fans that they are going to have probably the biggest popstar in the world, on their new studio album, Concrete and Gold. Then they announce that they are featuring pop star and actor, Justin Timberlake, Paul McCartney, Alison Mossheart and Shawn Stockman. Then, they gave fans a taste of what’s to come in their first single “The Line” which is a heavier song with a bit a shiny “radio-friendly” vibe to it. And today they released another single “Make it Right” from their forthcoming album. Now the whole album is coming together. They’ve already released “Run” and “The Sky is a Neighborhood” with music videos and “Sunday Rain” and “Dirty Water” live. This year on Halloween weekend the Foo Fighters will be making an appearance at the Voodoo Music and Arts Festival in New Orleans. Other Headliners include Kendrick Lamar and LCD Soundsystem.